In 1832, Mary Frances Clarke, Margaret Mann, Eliza Kelly, Rose O’Toole, and Catherine Byrne opened their first school, Miss Clarke’s Seminary, on North Anne Street in Dublin, Ireland. The school provided the area poor an opportunity to achieve an education. As relayed in The Price of Our Heritage by Jane (St. Joan of Arc) Coogan, BVM, it was a time marred with immense poverty and epidemics of disease. The recent repeal of Penal Laws allowed many Irish Catholics to leave their hiding places in attics and underground to worship freely once more and to serve the growing needs of the poor. The following year, these women answered another call to serve the needs of Irish immigrants in Philadelphia where they formed the congregation of the Sisters of Charity of the Blessed Virgin Mary. Eventually, they came to settle in Dubuque, Iowa, and established a school that would grow into Clarke University. 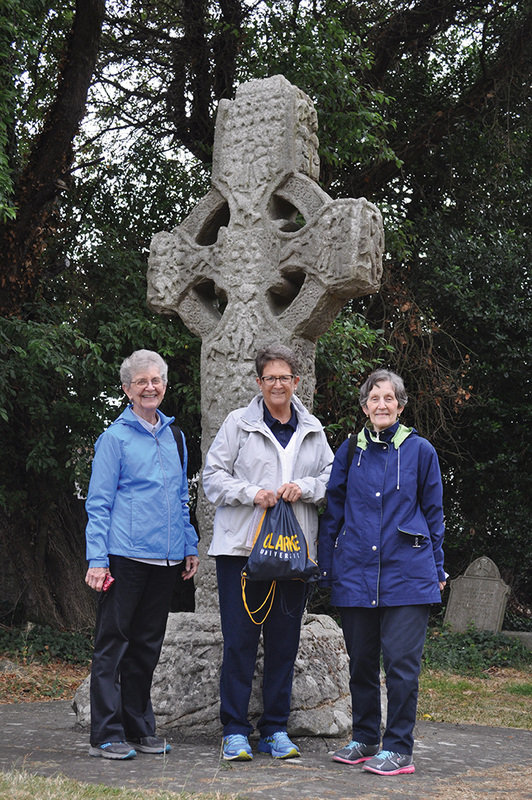 One hundred seventy- five years later, Clarke University embarked on a pilgrimage back to Ireland to explore where it all began. Led by Clarke President Joanne Burrows, SC; Clarke President Emerita Catherine (Michelle) Dunn, BVM; Clarke Provost Emerita and Professor Emerita Joan (Ramone Mary) Lingen, BVM; and Clarke Professor Emerita and Board of Trustees Member Mary Ann (Clement Mary) Zollmann, BVM; the group of 27 journeyed throughout Ireland to explore the origins of Celtic spirituality and the history of the Ireland that the original foundresses called home. Mike Peterson (l.), Linda Peterson; Mary Ann Zollmann, BVM; Cathy Schulze; Joanne Burrows, SC; Regina M. Qualls, BVM; Rev. Mark A. Ressler; and Margaret Mary Cosgrove, BVM gather at Trinity College in Dublin to see the Book of Kells, an ancient illuminated manuscript of the four Gospels. 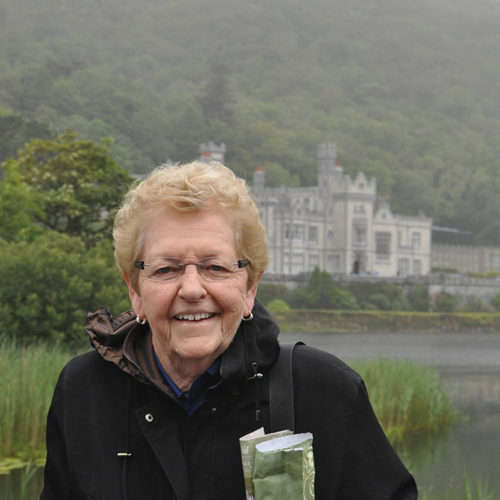 Catherine Dunn, BVM tours Kylemore Abbey. Built as a castle in 1868, it is now the Abbey and home of the Benedictine Nuns. 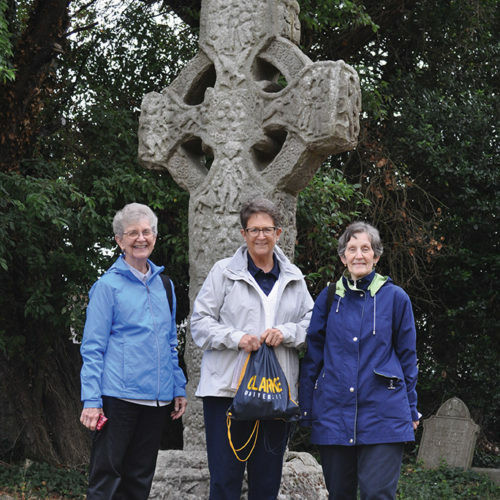 Joan Lingen, BVM (l.); Joanne Burrows, SC; and Regina M. Qualls, BVM stop to appreciate the Cross of St. Patrick and St. Columba, one of the five high crosses of the Monastery at Kells. Re-founded in 804 by monks, the monastery is where the Book of Kells was created. 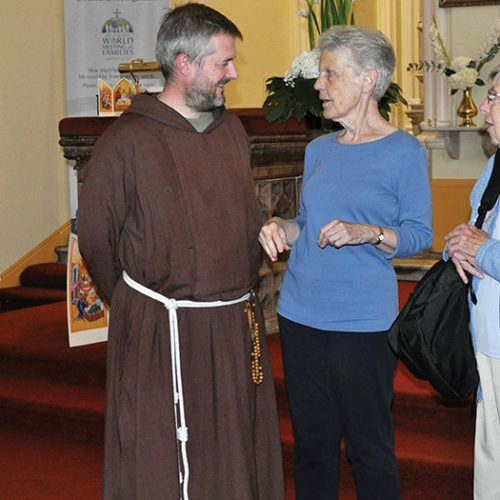 Mary Ann Zollmann, BVM talks to Father Bryan Shortall at St. Michan Church about the history of the early days of the BVM foundresses. 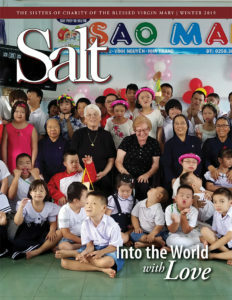 Looking back on the trip, Catherine shares that she felt connected to the spirit of Mother Clarke every step of the way. “She was very much alive on this trip,” reflects Catherine. While serving as Clarke president in 1984, she felt that same connection when a fire burned a large portion of the university campus to the ground. “I paced in front of the buildings when they were burning, and I could feel her spirit within me.” The next day, students with great strength and determination hung banners proclaiming, “Clarke lives.” From the ashes the school was rebuilt in two years, forming the campus that can be recognized today. 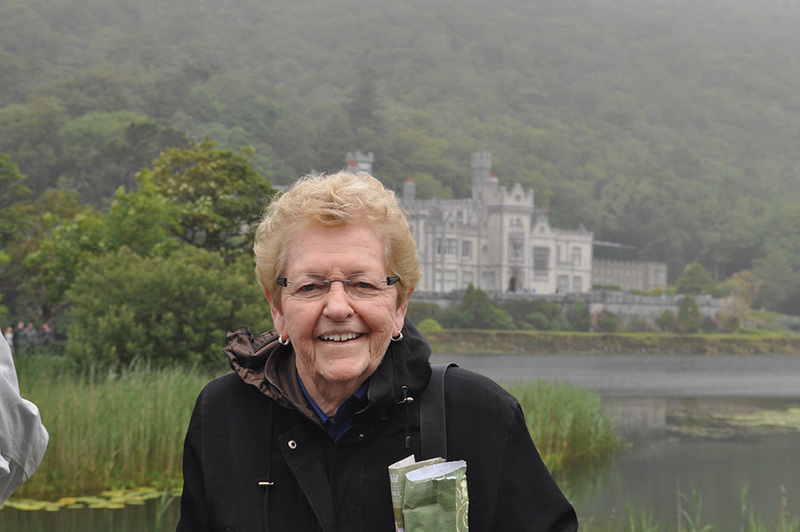 For Catherine, journeying to Ireland was a way to walk in the footsteps of Mother Clarke who also accepted challenges as opportunities. 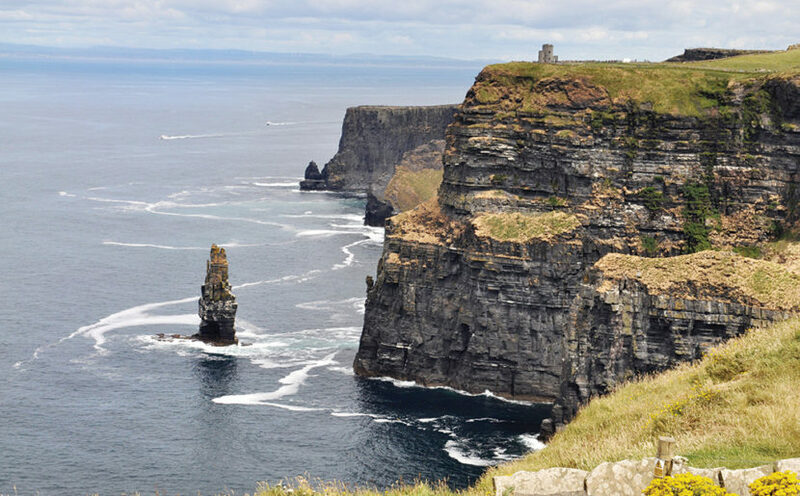 The group traveled to the Ring of Kerry, the Cliffs of Moher, and the Aran Islands among other places. On their path they were greeted with kindness, food, storytelling, dancing, castles, and ancient ruins. Joan researched the historical significance of every location. 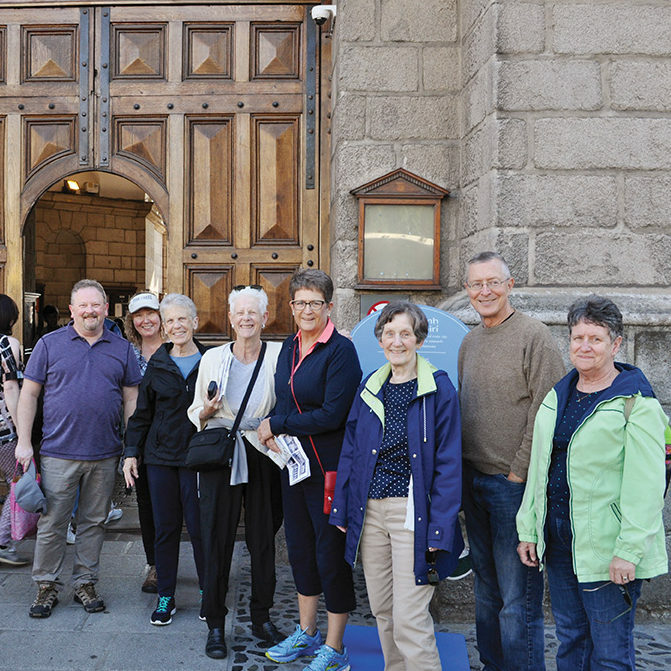 The part that touched many in the group the most was their stop at St. Michan Church, the parish of the five BVM foundresses and the surrounding area on North Anne Street where they opened Mary Clarke’s Seminary. While at St. Michan, the pastoral associate shared the courage that it took for the BVM foundresses to begin a school that was open to Catholics and Protestants–rich and poor alike. 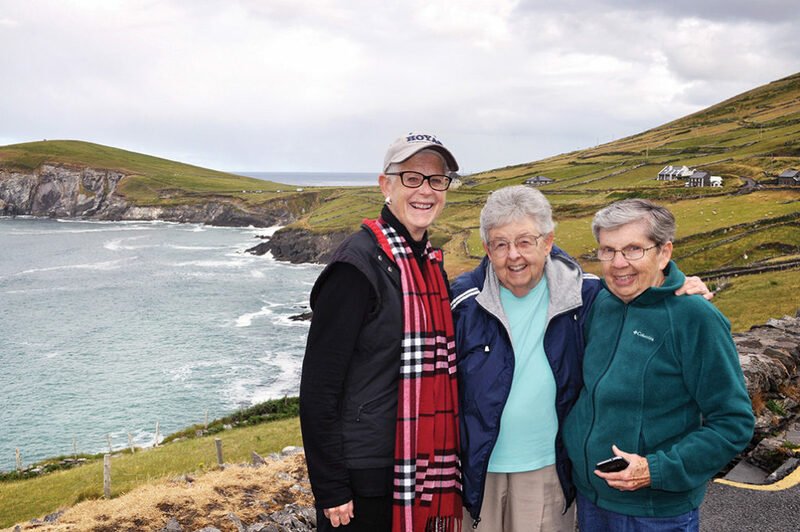 Cathy Schulze (l.) and BVMs Florence (Floretta) Heflin and Mary (Loras) Martens, admire the sights in Dingle, Ireland. 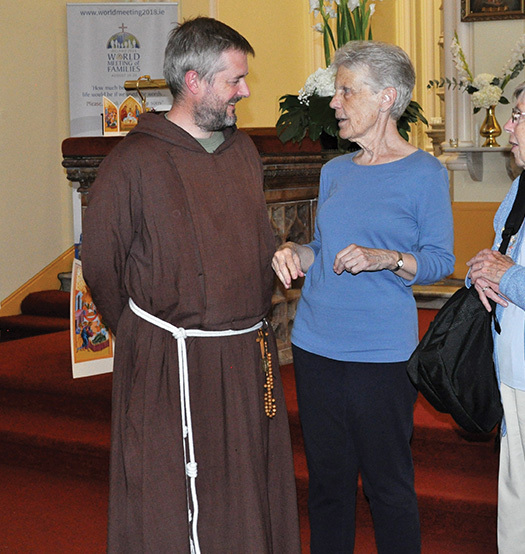 Starting at St. Michan Church, Mary Ann tied the journey to the roots of Celtic spirituality. It was an eye-opening experience that brought her and others closer to the heart of the spirituality and values of the BVMs. 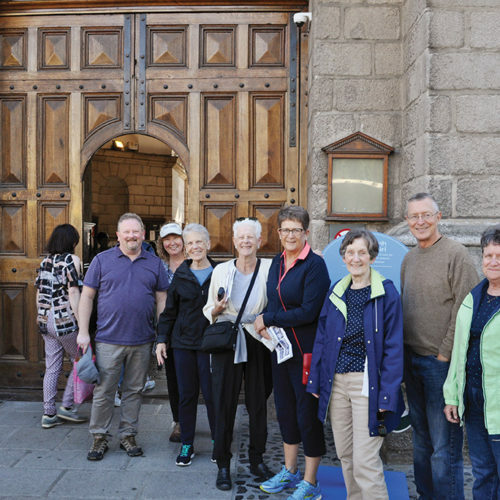 “I always knew that we kind of do church differently, but I didn’t realize until I went to Ireland, how deeply that’s grounded in who we are,” says Mary Ann. According to Mary Ann, Celtic spirituality dates back before the origins of Christianity in Ireland. It was based firmly on the idea of “original goodness,” meaning that “everyone bears something of the divine.” It was goodness strengthened by bonds of kinship, companionship, and community. It’s a spirit that still lives in those touched by the 175-year legacy of Clarke University and the 185-year legacy of the BVMs. A letter from Mary Frances Clarke as imagined by Mary Ann Zollmann, BVM.